Watch how IRPA AI, Kofax, and special panelists present real-life experience in RPA in manufacturing, government, banking and transportation and logistics organizations as we share insights from the trenches in our RPA journeys. Many common struggles with managing your structured and unstructured information boil down to 1) capturing your data accurately at the point of ingestion; 2) moving your data from one system to another; and 3) connecting legacy systems together to minimize manual work and create a better customer experience. These areas are so very different yet Robotic Process Automation (RPA) can assist you with all three. General Data Protection Regulation (GDPR) – it’s one of the biggest data privacy regulations we’ve seen in some time and it has every talking. 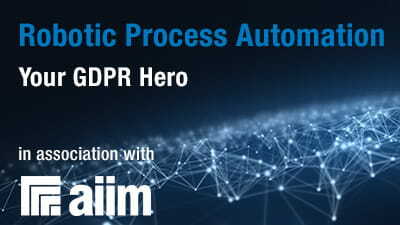 Listen to this riveting discussion to learn how Robotic Process Automation can enhance your existing workforce and take you one step further into GDPR compliance. 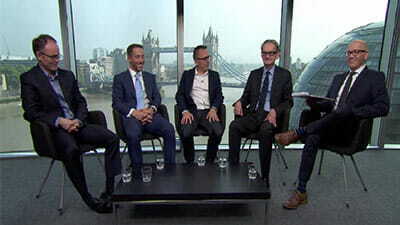 Embracing Digital Transformation: What is the next phase of the technology revolution in mortgage? From future advances in Artificial Intelligence to the ascent of Alexa, the wave of robotics is set to re-write the rulebook on customer experience. And with 80% of businesses planning to invest in chat-bots by 2020, how prepared are you? Watch Marketforce's on-demand webinar and learn how automation is transforming customer interactions. Watch today and explore the use of RPA for automating Customer Due Diligence (CDD) and Know Your Customer (KYC) processes and provide real-world customer examples. Can you intelligently extract and validate invoice data from a wide range of sources and formats? What about automating approvals, exception handling, and integration with your ERP solution? The Best-in-Class are over 2x as likely as their peers to have all these capabilities. 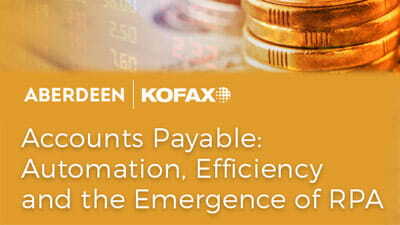 And they got there by investing in Robotic Process Automation (RPA), effectively supercharging their accounts payable performance. Integrating Artificial Intelligence (AI) concepts into your onboarding processes can help you reach a broader set of new customers while increasing revenue and differentiating your organization from the competition. So why are only 15% of financial institutions using AI to deliver an engaging customer experience that stands out? 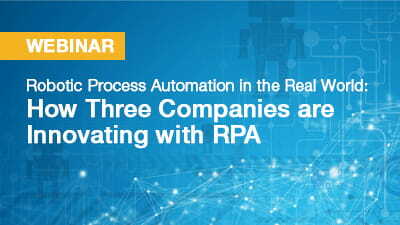 Watch today and learn how several leading transportation and logistics companies are using Robotic Process Automation (RPA) to automate manual tasks that are core to their logistics operations and customer experience.